What up, ya'll?! Got something special for ya. 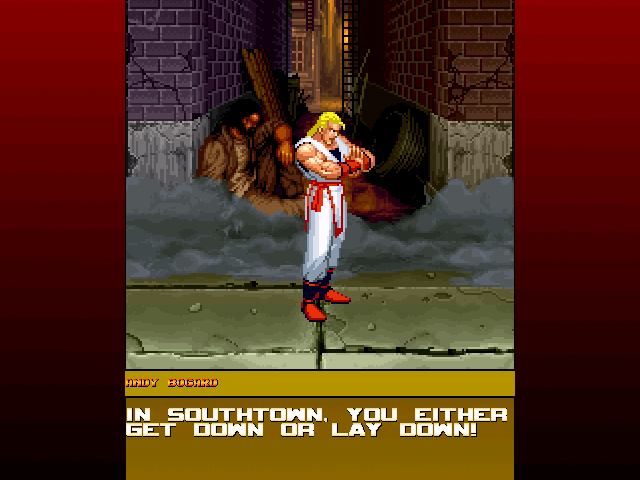 This is a screenpack based on the ficional city of Southtown, where Fatal Fury and Art of Fighting took place. It's got alot of goodies. 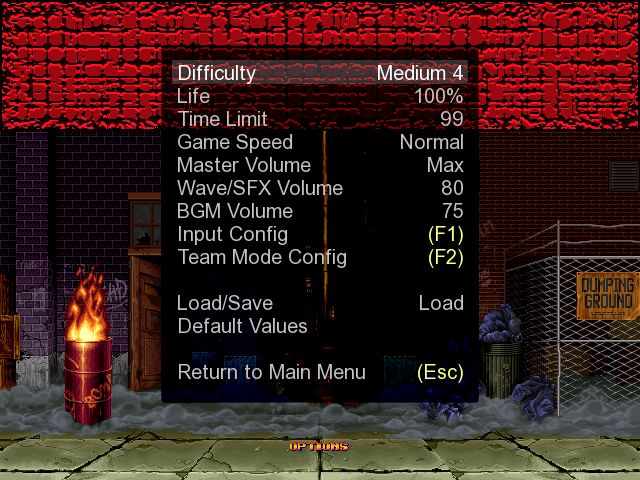 The screenpack has an intro, title, select, vs, victory and options screens. The select theme was mixed by yours truly. 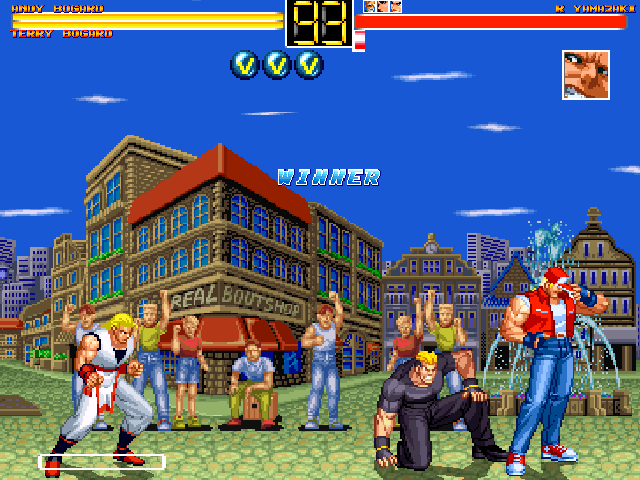 It also comes with the 8 original stages from Fatal Fury 1 for the SNES, all of which have custom bgm's and slight modifications to the stages. 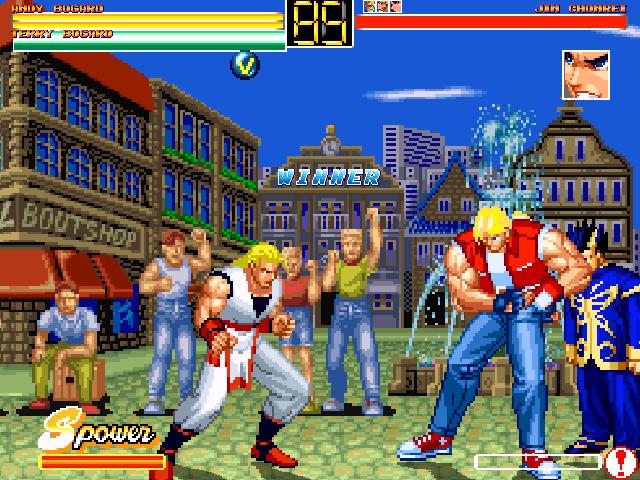 It also has the 8 original stages from Art of Fighting 1 for the SNES, which also have custom bgm's and minor adjustments. All coding done by me. It uses custom ports. 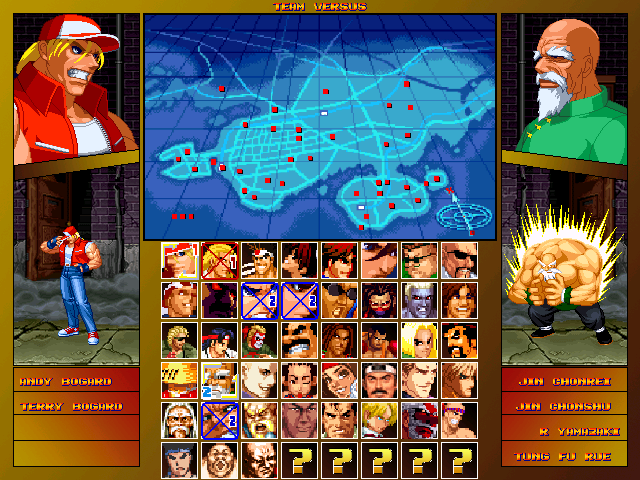 The ports for all the characters seen in the select screenshot are included with this download along with a "Big Port Template." The small port is a 25x25 square pcx, so you won't need a template for that. 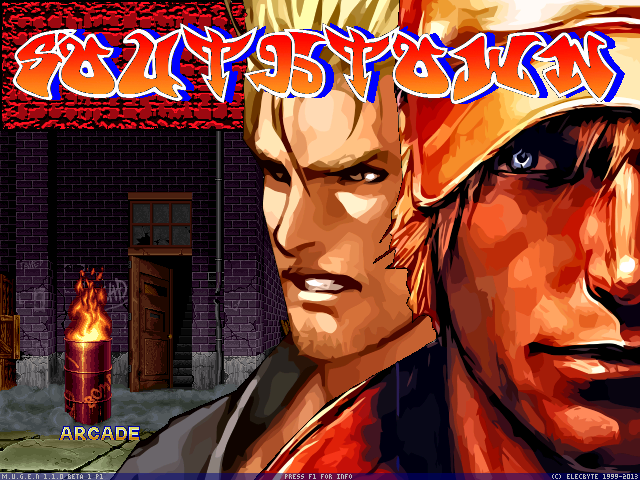 I'd like to thank Fred for creating the original screenpack and the arcade version of "Downtown" that I borrowed fonts, sprites and inspiration from. Also I'd like to thank MarkPachi and Alpyne_D for their feedback. 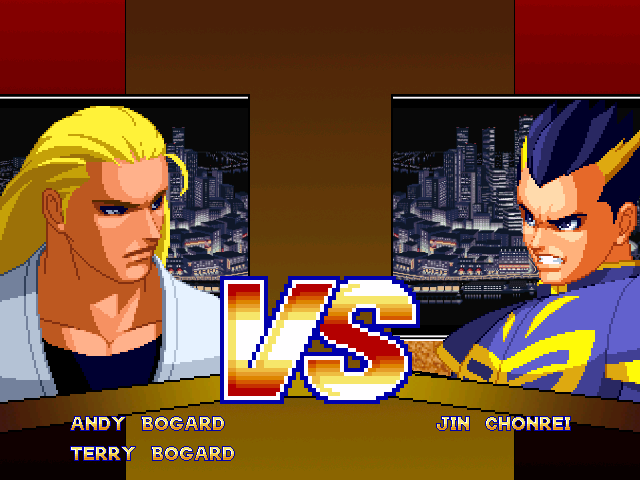 I gotta thank Davias at Spriters Resource for all the original stage sprites. Incase you didn't notice, I just cut and paste comments from the original release. Cuz a lot of that is still true. Here's what I changed. I'd also like to thank the rest of the R.O.K. for their feedback.